As people only arrange a few funerals in their lifetime, we are sure that you will have concerns and questions. Hopefully, below, are some of the answers to those questions. If the question troubling you is not mentioned, then please ask one of our team for help. We are here to answer all of your concerns. How much will the funeral cost? Our “Simple with Complete Care” Funeral will cost £1495.00 plus Disbursements. However it is our policy to price match any other written quote or estimate from another funeral director with like for like services. We do this so that you may choose a funeral director based on their services and their facilities, not their costs. We have no money, savings or insurance cover and cannot afford a funeral. What will happen? Please be honest with us. We are a family firm and there are very few rules that are set in stone. If you tell us your situation we can offer advice and arrange a funeral closest to your budget. We can help you apply for grants from the Department for Work and Pensions, and if the worst comes to the worst, we can set up a payment scheme. If we don’t know, we can’t help. Please don’t be embarrassed. Is a burial more expensive than a cremation? Yes. There is an increasing shortage of space in cemeteries and the price of a grave has increased dramatically in recent years. Some cemeteries have no space for new burials. Does the Funeral Director have to do everything? No. We can do. We can take all of the arrangements out of your hands, following our initial consultation with you, and arrange everything so that the funeral is exactly how you want it to be – giving you time to look after yourself and the rest of the family. However, if there are areas where you wish to be more involved, it is certainly possible and we will assist you every step of the way. Our role is to guide and support you. I don’t go to church, so I do not know a vicar to take the service. Don’t worry. We can arrange for a member of the clergy to contact you and to take the service. All you need to do is arrange a suitable time with them to come and visit you to discuss funeral arrangements. This is often the case. I’m an Atheist. Can I still have a funeral? Yes, you can have a Humanist funeral. This is a non-religious funeral with no reference to God, the Bible and no hymns are sung (although non-religious music can be played). You can have a service in the crematorium chapel, and if it is to be a burial you can have a graveside service or a service in our funeral home. We have a mix of religions and faiths in our family. What do we do? The best thing is to talk to us about it but it is possible to have a religious funeral (which includes the Lord’s Prayer) but is mainly focussed on the life of the person who has died or to have a Civil Funeral, which is carried out by a member of the Institute of Civil Funerals, which can be tailored to your exact requirements in terms of content. What happens in a funeral arrangement? Before we meet to make funeral arrangements it helps if you can discuss some of the basic details with the rest of the family – even if it is just to decide whether it is burial or cremation. When we meet, we help to arrange the kind of funeral you think your loved one would have wanted, by asking lots of questions – but the answers are down to you. We will guide you and make suggestions, but the decisions are ultimately yours. Once we have built a picture of the kind of funeral you require, we turn to completing all the necessary documentation and paperwork. I want some rock music played. Will I be allowed to? Yes! There is no restriction on what you can or cannot have played, as long as it is on an original CD and therefore legal. There are restrictions on timings at the chapel, so we need to know in advance if a double slot is required. Some churches will not allow certain music, but it can be played at the committal. Can a member of the family take part in the service? Yes, and it is encouraged. Whether it is to do a reading or to write a special message, to play a musical instrument or to bear the coffin in to the ceremony, it all helps to make the day personal and special. Where is my relative taken between the time of death and the funeral? When can we see them? We transfer your loved one as soon as we are able to, after the relevant paperwork is completed. 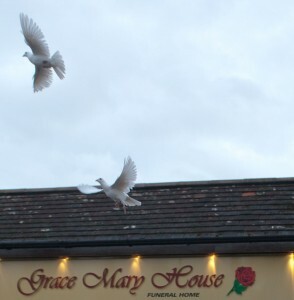 In the majority of cases your loved one will remain at Grace Mary House until the time of the funeral. We try our very hardest for you so that you can come and see your loved one as quickly as possible after the death. So, once all the legalities are complete, we dress them and place them in their coffin, and transfer them to their own room within Grace Mary House, where in most cases they will stay. Can I be buried at home, in my back garden? Actually, yes, and if you want it to happen, just mention it. The information has to be put on the title deeds and we have to inform Severn Trent Water. If you make it known this is your wish we will sort the arrangements and try to obtain permission. Is there such a thing as a more ecological funeral? Yes, and we have been members of the Association of Green Funeral Directors since the beginning. We can advise you on an alternative to a wooden coffin, arrange woodland burials and offer advice on how to reduced the impact of the funeral on the environment. Do I have to wear black to a funeral? Not necessarily. Although it is customary, like all areas of funeral etiquette it is getting more relaxed. You may feel that a sombre colour such as grey or navy blue is more suitable. Sometimes, families may request that mourners wear bright colours, or to not dress in black. The important thing is to feel comfortable and to fit in with the sense of occasion. What is embalming? A process which slows down the natural biological processes, maintains a healthy and safe environment for visits to the chapel of rest and allows the deceased to maintain a dignified and restful pose when in the coffin. 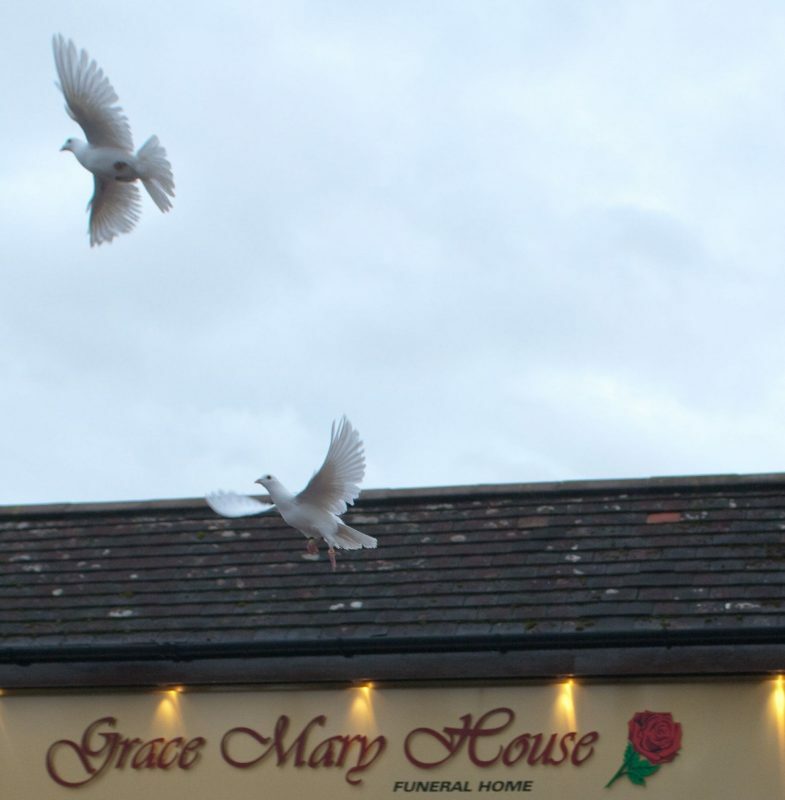 We recommend the procedure if you wish to spend time with your loved one at our funeral home in Walmley, Sutton Coldfield. What happens to the coffin once the service at the crematorium finishes? Sometimes the crematorium has curtains which close around the coffin at the end of the service. When this happens, you cannot see the coffin but it is still there. The cremation does not happen behind the curtains. The coffin does not move whilst you are in the chapel. Once the chapel is empty the coffin is taken from its platform (known as the “catafalque”) through to a different area of the building for the cremation. Are the handles taken off the coffin before the cremation? What happens to the jewellery and photos we left in the coffin? There are very strict laws surrounding cremation in the UK. As Funeral Directors, we take the coffin exactly how you left it, and when the crematorium receive it from us in the chapel the coffin cannot be opened, or interfered with in any way, without permission from the Department of Constitutional Affairs (formerly the Home Office). How can I be sure they are the cremated remains of my loved one?Every coffin is cremated individually. At the funeral home, we check the identification of the person against that of the name plate on the coffin. At the Crematorium, the Attendant checks the identification on the coffin before it is placed in the cremator. The cremator is only big enough to accomodate one coffin at a time, plus the law states that “coffins must be cremated separately”. The cremator is identified on the outside, and once the cremation has taken place and the cremated remains are cooled they are placed in to the urn, which is also identified. I want to take the cremated remains to our favourite holiday destination to be scattered. Is that possible? Yes. We have a side selection of light weight caskets and urns that would be suitable to take as hand luggage plus we would arrange all the necessary paperwork and declarations. We also have a range of smaller sized caskets and urns if you only wanted to take a small amount with you. It seems such a waste to leave the flowers at the crematorium, can I take them away? Yes, absolutely. They can go back to your house or to a family grave. Sometimes, they are taken back to nursing homes if they are suitable but this practice is getting rarer, as different homes have policies in place, and we have to obtain permission first.